Upon ignition, all of the car’s power is sent to the back wheels up until the point at which the rear wheels slip. Once that happens, some of that torque is diverted to the front wheels to help balance the car out. While it might sound like you’ll never get your M-series loose again, the rear axle actually features an Active M Differential capable of locking the power between 0 and 100 percent. This nifty feature will make you love the new G30 M5, because with traction control off, the 4WD will only send the power to the rear wheels. The drift sessions of your dreams are still entirely intact with the G30 M5, and that’s all you really wanted, right? We have already seen an M5 as powerful as this one. The M5 F10 30 Jahre Edition had an updated V8 with 600 HP. This one has the same power output but with 553 lb.-ft. of torque compared to the Jahre Edition’s 516 lb.-ft. 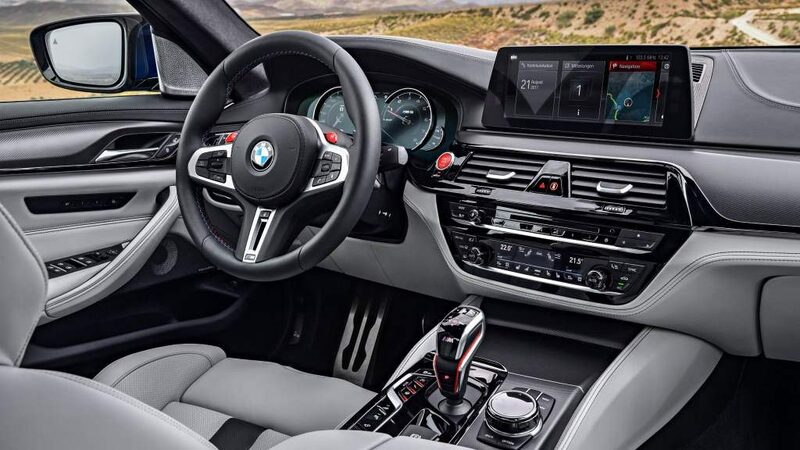 Furthermore, the 4WD system certainly makes a case for astonishing acceleration; the stunning new Bimmer accelerates to 62 mph in just 3.4 seconds – half a second faster than the 30 Jahre Edition.